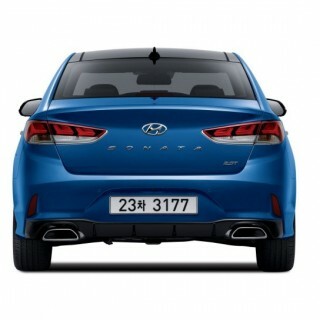 The Hyundai Sonata has been a big seller for the Koreans in the North American market, and it’s easy to understand why when you take a closer look at this stunning midsize sedan. 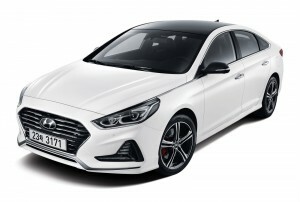 The reality is that you get some real bang for your buck with this Hyundai midsize sedan, as the vehicle has a look and features that might make you believe that you are getting a luxury car at an affordable price. The 2017 Hyundai Sonata is considered by many to be the cream of the midsize sedan segment, and with hybrid and PHEV models available, it’s also a nameplate that appeals to the eco-friendly crowd. The Sonata is undeniably one of the best family sedans out there, and the sales numbers certainly back that up. To prove this point even further, we have come up with 5 reasons that we believe prove that the Sonata is the best sedan for families. It’s great to have options, and you certainly get that with the Sonata, with your choice of gas, hybrid, or plug-in hybrid (PHEV) models. There are 3 different engines to choose from in the gas model, but you also have some excellent eco-friendly options. The hybrid model delivers better fuel efficiency numbers than the gas model, and the PHEV allows you to go all-electric for a range of around 27 miles. You get the chance to pick your power with the Sonata, as it comes with some excellent engine options. The engines available are dependent on the trim level that you choose, and it all begins with the 2.4-liter 4-cylinder engine that delivers 185-hp, and which serves as the standard engine. At the top of the range for the Hyundai family car is a 2.0-liter engine that delivers 245-hp. The lowest horsepower engine on the list may well just be the one that is the best. This would be the new 1.6-liter turbo unit that delivers 178-hp, and which is mated to the new 7-speed DCT. One of the biggest demands that consumers have when purchasing a family car is a high level of safety, and the Sonata delivers. The current generation Sonata is in possession of the IIHS’s 2016 TOP SAFETY PICK+ award, which lets you now that this is a vehicle that you can drive with real peace of mind. We understand that there are a lot of choices in the family sedan category, but it’s hard to find one that delivers as much as the Sonata. That is why we believe it is one of the top family sedans for sale in 2017.